Find the product best suitable for your application with our Ultrabatch selector. Kunststof-Kemi produces colour concentrates for the thermoplastic industry. The product portfolio consists of Ultrabatches (Single pigment Dispersion, SPDs), custom colour masterbatches and additive concentrates. Carrier material for the concentrates range from regular polyolefines, styrenes and various universal carriers to PA6. The laboratory at Kunststof-Kemi is responsible for the quality control of all production runs. The laboratory operators have access to a wide range of analytical tools to assist them in their work. 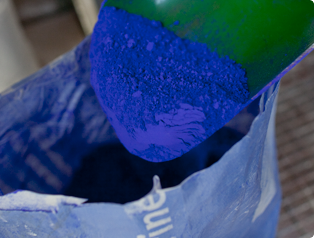 The daily routine also includes the development of new colours and products. Kunststof-Kemi is situated on the isle of Mors in the north western part of Jutland, Denmark. Kunststof-Kemi produce colour concentrates, masterbatch and additives.